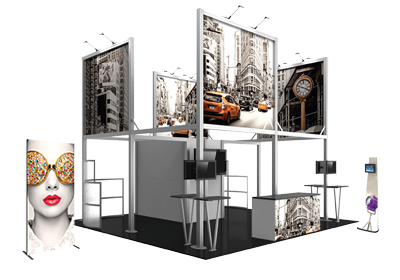 Formulate® 8H 8ft display is a contemporary exhibit booth that utilizes a lightweight aluminum tube frame and high-quality zipper pillowcase graphics. 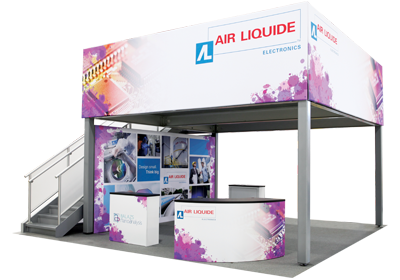 This exceptionally portable display features a dynamic horizontal curved frame that easily sets up. Custom stretch fabric graphics are vibrant, durable and can be dry-cleaned. Snap buttons make frame assembly simple.